Alessandra Giambelli, from Italy, studied at Alonzo King Lines Ballet and The Ailey School, where she is also on faculty. As a performer, she has worked with BODYART Dance Company, Nathan Trice/Rituals, Nomad Contemporary Ballet, and Lydia Johnson Dance. Her choreography has been presented at The Ailey Citigroup Theater, Performance Lab at Steps on Broadway, Green Space Blooms, Boston Contemporary Dance Festival, Dance Gallery Festival, and IDaCo NYC. In addition, Alessandra is a certified GYROTONIC & GYROKINESIS instructor. Originally from Paris, France, Charlotte Colmant graduated from Paris-Sorbonne University; she then continued her dance studies at the Martha Graham School in New York City. Charlotte has worked with contemporary artist Linda Tegg, MIT theater director Caleb Hammond, LEIMAY, and Sidra Bell Dance New York. Her choreography has been presented at Hollows Art Space, TSA Gallery, Brooklyn Fireproof and the Kraine Theater. As a filmmaker, Charlotte screened several works at Video Dance Festival - BODY in FOCUS in Braga, Portugal. Holly Wilder is a freelance dancer, choreographer, and dance teacher based in New York City, with a BFA in Contemporary Dance from The Boston Conservatory. She has choreographed for the Boston Conservatory mainstage, JUNTOS Collective, composer John Heiss, and multiple music videos. Recently, she founded Wilder Project, a film and stage dance company, with her brother, Duncan, a freelance cinematographer. Their contemporary dance films have been screened at the Philadelphia Screendance Festival, Dance Films Association’s "Dance Film Lab,” the Theater at 14th St Y, and Center for Performance Research. Kathleen Kelley is a choreographer, performer, and dance filmmaker who serves as an Assistant Professor at Montclair State University in New Jersey. She received her BFA from the University of North Carolina-Greensboro and her MFA from the University of Illinois at Urbana-Champaign. Her choreography has been shown at venues across the US, including the Center for Performance Research, The Tank, Brick Theatre, John Ryan Theater, Triskelion Arts, Brooklyn Arts Exchange, Chez Bushwick, Dance New Amsterdam, Movement Research Open Performance, and the Dance Complex in Boston. As a performer, Kathleen has performed internationally with choreographers such as Deganit Shemy and Mei Yin Ng. Lillian Stamey and Blake Horn have been working together for three years on creating a stage for dance on film. In their collaboration, Lillian and Blake aim to journey outside of ordinary reality, to transcend space and time, and to guide the mind’s eye in ways that draw the audience inside the work. Lillian, co-founder and director of 96b dance collective, is interested in experiences of the human condition and seeks to reveal the emotional body within her work. Blake, filmmaker and cinematographer, is a storyteller who distills reality in order to provoke a change of perspective. Moriah Ella Mason studied choreography at Sarah Lawrence College. After working with newARTiculations in Tucson, AZ, Ella moved to Pittsburgh, PA to pursue her own choreographic endeavors. Her work has been presented at the New Hazlett Theater, Future Tenant Gallery, Pearlarts Studios, the Philly Fringe Festival, and the Kelly-Strayhorn Theater in PIttsburgh, PA.
Project|Oracle is the umbrella for the collaborative work of dance artists Maré Hieronimus (Brooklyn) and Nicole Nigro (Toronto), and sound artist Cory Neale (Philadelphia). They first came together in 2014 at The E|MERGE Artist Residency at Earthdance Center for Creative Living in Massachusetts. Inspired by their shared love of the power of ritual, communal process, and the magic inherent in the experience of live performance, they have been co-creating body and site-based performance work ever since. Their projects have been presented by chashama (NYC), New Dance Alliance Performance Mix (NYC), and EarthDance (MA). Teddy Tedholm received a BFA with honors as well as the Arts’ Stella Moore Prize for Four Years of Outstanding Achievement from the University of the Arts. He was nominated for a World Dance Award in Best Choreography Concert/Live Performance and was a finalist at the Capezio ACE Awards and has appeared on "So You Think You Can Dance." His work has been described as “hip, whimsical and endearing” (Wet Paint) and has been presented in New York City and Philadelphia. From Taipei, Taiwan, Tsai Hsi Hung graduated from the Taipei National University of the Arts with continued studies in dance at Queensland Technology University in Australia. She has worked with Australian Dance Theater, Tasdance, and Chunky Move Dance Company, and has appeared on Australia's "So You Think You Can Dance." Tsai currently performs with White Wave Dance Company, and Abarrukas Dance Company and is co-artistic director of Cross Move with Guang-Lei Hui. Guang-Lei Hui, from China, graduated from the Russian National Ballet Academy, majoring in classical ballet choreography and education, to then join the Russian State Balled as a soloist. In 2006, he received second prize in the Russian International Dance Competition before touring internationally with Guangdong Modern Dance Company (China), and presenting his work at the Yokohama Arts Festival. In the US, Guang-Lei has worked with Naini Dance Company, New York's White Wave Dance Company, Abarrukas Dance Company, and Shen Wei Dance Arts; he was also invited to participate in the International Choreographers Residency at American Dance Festival. Guang-Lei Hui is co-artistic director of Cross Move with Tsai Hsi Hung. Jacopo Jenna is a choreographer, performer and filmmaker creating stage works, video pieces, and installations. His works are oriented towards research concerning the perception of dance or choreography as an extended practice. As a graduate of Sociology, Jacopo also studied dance at Codarts / Rotterdam Dance Academy. In Europe, he has worked with Anouk Van Dijk DC, Zappalà Dance Company, Virgilio Sieni Dance Company, Kinkaleri. In 2012, Jacopo founded CANI, a group experimenting with choreographic research, with Ramona Caia and Giulia Mureddu. He is the director of the film "Meditation on Beauty" with choregrapher Marina Giovannini. Initially as a soloist for Balletto di Toscana, Marina Giovannini also worked with Letizia Renzini, the Biennale Danza di Venezia, The Place-London, and Dansens Hus-Stockholm, among others. 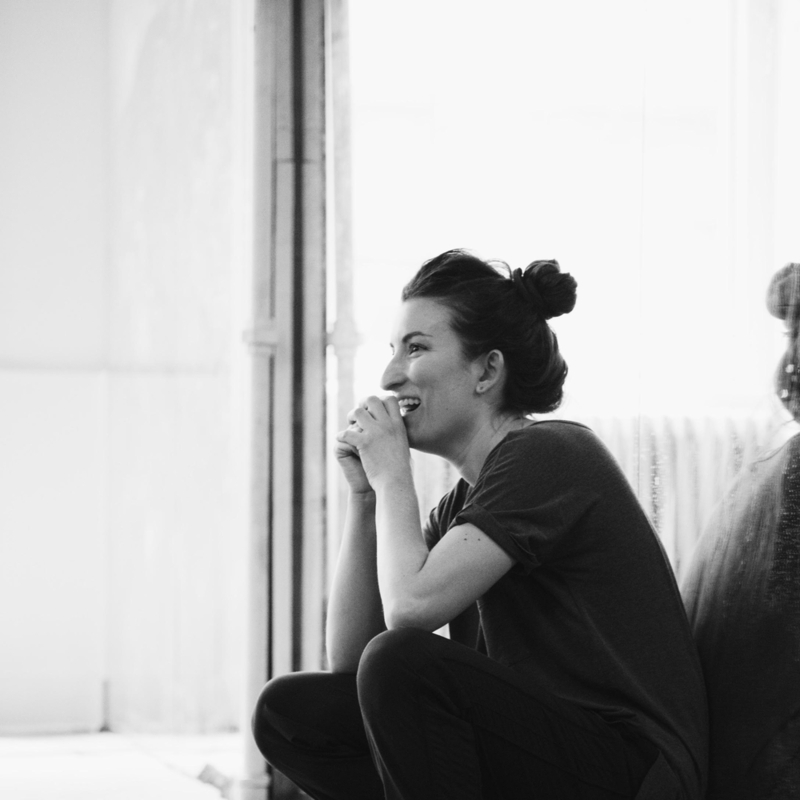 Since working with Compagnia Virgilio Sieni, she has been interested in the language of contemporary Italian dance. Marina is a recipient of the Equilibrio Award from the Fondazione Musica per Roma. She is the choreographer of "Meditation of Beauty" directed by Jacopo Jenna. Shandoah Goldman is Artistic Director of Carte Blanche Performance. She holds a MA from London Contemporary Dance School as well as a BA from Bennington College. Shandoah gives herself Carte Blanche as she takes her creative process by storm to create works for both urban and rural landscapes, private events and screen, as these untraditional venues become her 'stage'. Shandoah builds work with an audience in mind who are attracted to an experience where the action goes beyond the 'fourth wall' as the audience permeates the performers space. From forty dancers on the Broadway sidewalk of NYC's Flatiron building to a rooftop performance for an audience of one, she creates with the notion that anything is possible.